When a close friend of Nadine Rachid’s started studying law, it piqued her interest. Her friend would discuss what she was learning and how her perspective on life, her ideas and train of thoughts were growing and changing. 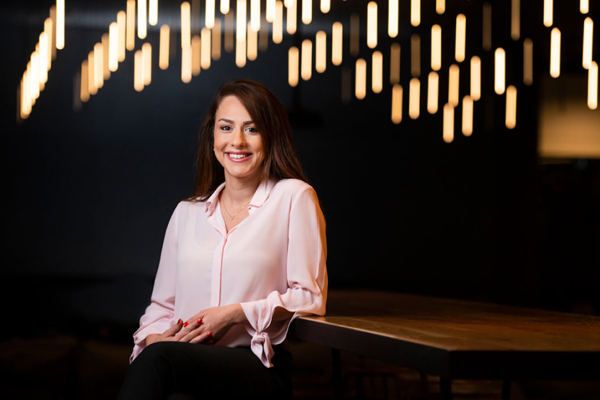 These conversations reignited Nadine’s life-long dream of fighting for the needs of the less fortunate and inspired her to enrol in a laws degree at the University of South Australia. And make a difference she has. Six years on from graduation, Nadine has shaped an impressive CV of humanitarian work. Her first role was as a Case Worker for INTERSOS, an Italian humanitarian aid organisation, to support people in high risk environments. “I began working with INTERSOS in 2014 in Lebanon. For two years I worked in a variety of roles, dealing directly with refugees who had faced child protection and gender based violence issues,” she says. As a case manager Nadine was responsible for identifying and assessing children and adults at risk of abuse and violence. She also worked closely with Syrian refugee women, helping many access employment training. “At INTERSOS I would also work closely with individuals, deliver prevention awareness and emotional support groups,” she says. Image: Nadine (left) in the midst of preparing for 'Ramadan Village', an event staged organizes every year to feed poor people during the Ramadan. The United Nations Refugee Agency (UNHCR) supports INTERSOS’ work in the region. While at INTERSOS’ head office, Nadine would also act as the Relief Focal Point for the Protection Officer. Her work impressed the UNHCR Protection Team so when two protection posts arose she jumped at the opportunity and was shortlisted for both positions. “I had applied for previous UN vacancies and I was familiar with how difficult the application process could be – a one hour exam and a panel interview. But I also knew what my strengths and weaknesses were in terms of answering their questions. Three weeks after her interviews Nadine was offered one of the posts. “To my luck I was offered the post that I wanted most, which involved child protection,” she says. Her joy and relief in landing the job was further more emphasised after experiencing a devastating personal tragedy, a mere few months before, making the role that much more poignant. “Earlier that year, I experienced a stillbirth and lost my baby at six months. This experience led me to think more seriously about a career in child protection – where I could protect children and make a positive difference in their lives. 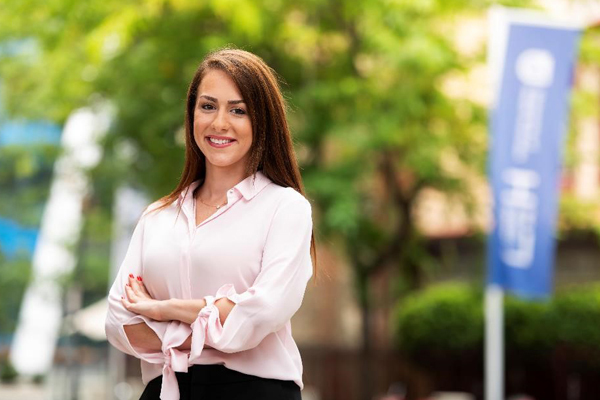 Nadine excelled in the two years she spent in her role as Senior Protection Assistant (Child Protection Focal Point) for the UNHCR in Lebanon, with many successful achievements in the protection of basic human rights for young people. Nadine also played a key role in implementing the Street and Working Children Program with Makhzoumi Foundation. The Street and Working Children Program is designed to get these kids into a safe, educational and fun environment. It also works to teach these children about self-protection. As a result of these efforts, part of the Lebanon operation that was awarded the UNHCR Global Team Award for Achievements in Gender Equality and recognised as a Child Protection Expert by the UNHCR Head Office. “This work strengthened my values and gave me more confidence to advocate for the issues I feel strongly about. – When you work with UNHCR, it owns a piece of your heart forever,” Nadine says. “The UN recruitment system is lengthy and competitive. It can be a deterrent for applicants who have already applied and were not initially successful. I personally applied on multiple occasions and was not successful, but I kept trying and pushed myself to work harder each time for the opportunity. This tenacity and dedication has served Nadine well – particularly upon her return to Adelaide where she quickly snapped up a role as Electorate Assistant for the state’s Minister for Education. “Working with the Honorable John Gardner MP in the Morialta Electorate Office has kept me on the track of fulfilling my life’s purpose as he makes enormous efforts to assist any enquiries or issues his constituents have,” she says. “As my local MP, John Gardner quickly recognized my skill set and experience and offered me the opportunity to work at his electorate office.